Haitian Student Association (HSA) is an organization designed to teach others about the culture and issues of Haiti. Photo Courtesy of HSA. The eboard members of HSA hope to leave their members with valuable knowledge. Photo Courtesy by HSA. In addition, HSA has six executive board members that oversee the organization and its functions. Serving on the executive board are President Carl Cazeau, Vice President Anderson Moise, Secretary Dania Thelusma, Director of Public Relations Melissa Damestoir, Student Adviser Megane Clerge and Adviser Alex Louis. General body meetings are hosted Mondays 3:30 to 4:30 p.m. in the Miron Student Center (MSC), Room 226, where students are able to share the mission of aiding Haiti in various areas. By spreading awareness of the issues, HSA is able to implement initiatives and events that benefit its members and the Kean community. Members of HSA at their general body meetings. Each of the bake sales seek to support HSA's funds while providing students with delicious treats. Creole Class Sessions are workshops that aim to teach students how to speak and write in Creole. The Haitian Flag Raising Ceremony honors Haitian Heritage Month as it commemorates everything the culture students for. Bringing the Haitian culture to Kean. Courtesy of the Haitian Student Association. Lastly, the Kreyòl Spelling Bee will give students the opportunity to compete while being culturally educated. Aside from learning about the Creole language, students will also be treated to food and music. In addition to those events, HSA has participated in the Black Leadership Union's: BLU General Body Meeting on Financial Literacy Workshop. This workshop took place Tuesday, March 19 from 3:30 to 4:30 p.m. in the Center for Academic Success (CAS), Room 356. Here students learned about financial literacy while going over concepts like the payment of debt at a sooner time, tax free investment strategies and future planning. With the organization thriving for 30 years, Cazeau spoke of the vision of the founders and their mission. "The founding fathers started this organization to create a hub for Haitian diaspora here at Kean University to promote the culture and teach to whomever was interested in learning about Haiti," said Cazeau. 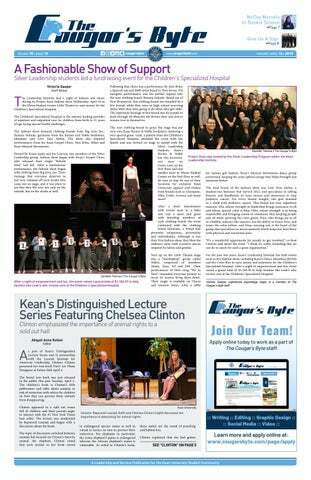 "It is important at Kean because we embody the belief of diversity here on campus. By having cultural clubs, one gets to enjoy and learn about cultures that you possibly might not experience unless you travel outside of the country." Cazeau also spoke of their mission to build a relationship with high school students through mentoring and providing opportunities for younger individuals. "We host annual events where one gets to taste the food, experience the music and learn the language. We provide community service liaison where interested students can volunteer and use towards their schooling hours and so much more," said Cazeau. 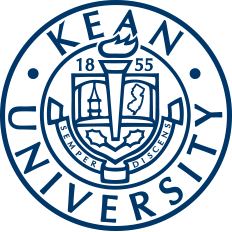 For students interested in joining or attending their events, visit their Cougar Link page or email hsa@kean.edu for more information.